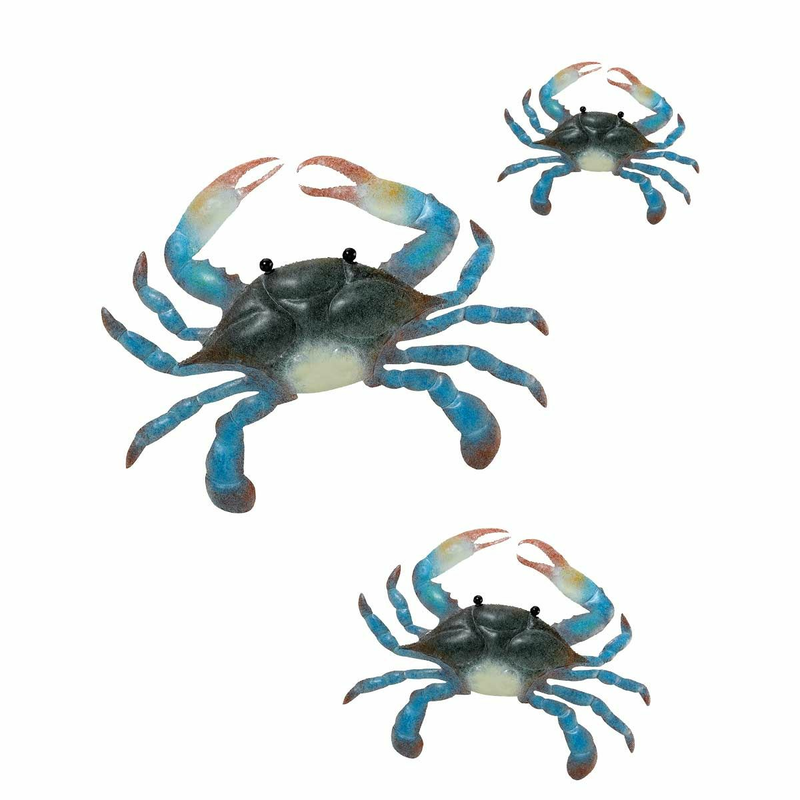 A Bella Coastal D�cor Exclusive - Dimensional metal crab trio. Ready to hang. Large: 11 1/4"W x 1"D x 8 1/4"H; Medium: 8"W x 1/2"D x 6"H; Small: 5"W x 1/4"D x 4"H.